MariaDB is an open source database management system. It uses a relational database and SQL to manage its data. MariaDB is a fork of MySQL managed by the MySQL developers. It's designed as an alternate for MySQL, uses some commands that reference mysql. In this guide, we will walk you through the steps to install the latest version of MariaDB on a CentOS 7 server and some additional steps to secure its installation. A CentOS 7 installed on (physical or virtual) machine with a non-root user with sudo privileges. Dec 01 19:06:20 centos-512mb-sfo2-01 systemd: Started MariaDB database server. To confirm that MariaDB starts when system boot, using the systemctl enable command, which will create the necessary symlinks. In the next step, we'll look into securing installation. The above script provides a detailed explanation of every step. The first prompts asks for the root password, which has not been set so we'll Hit Enter as it recommends. Next prompt asks to set that root password, which we'll do. Then, we'll accept all the security suggestions by pressing Y and then Enter for the remaining prompts, which will remove anonymous users, disallow remote root login, remove the test database, and reload the privilege tables. Since we've secured the MariaDB installation, now we'll verify whether it's working or not. To verify MariaDB installation and get information about it we need to connect with the mysqladmin tool, a client that allows you run administrative commands. Use the following command to connect to MariaDB as root (-u root), prompt for a password (-p), and return the version. The above output indicates that, the installation was successful. 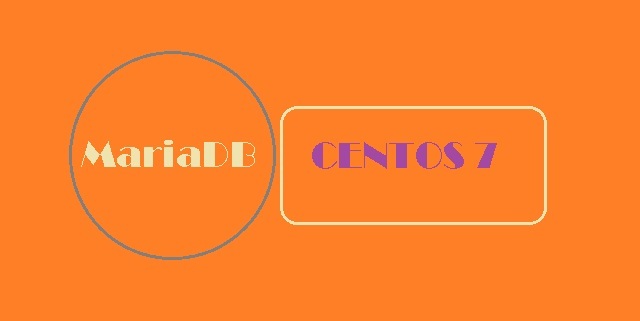 In this article, we've covered the basic steps to install and secure MariaDB on a CentOS 7 server.